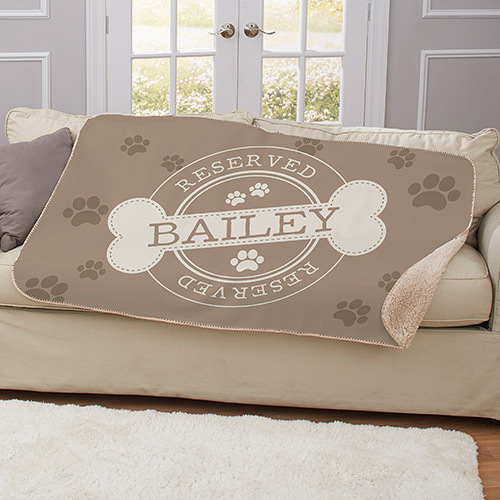 Snuggle up with your pet in this super soft Personalized Reserved Dog Sherpa Blanket! We will custom personalize with your choice of breed and any name. Makes a great gift for dog lovers! 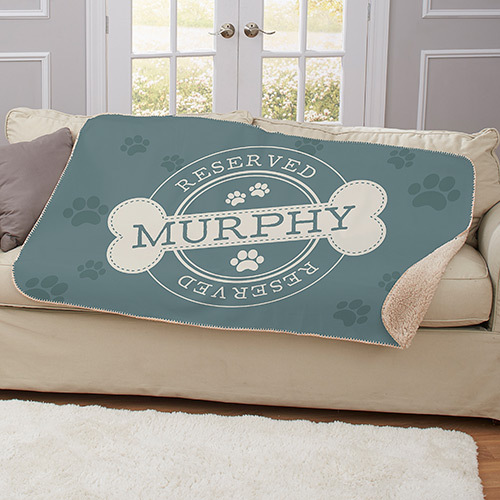 My husband loves the blanket that I had personalized for him. It’s super soft and the perfect weight. Our dog is sleeping on it right now. Ha! The light brown color is very rich looking. Thank you!